The Last Emperor finally returns. 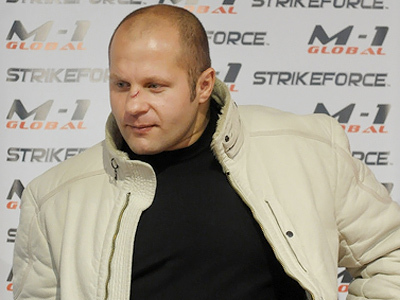 Fedor Emelianenko, considered one of the greatest ever mixed martial artists has announced who he will fight next. At a news conference in Moscow it was revealed his next opponent will be Brazilian Antonio Silva, at the Strikeforce event in New Jersey, USA, on February 12. It will be the first fight for previously unbeaten Emelianenko after his shock defeat by another Brazilian, Fabricio Werdum, last June. But the Russian says he has worked hard since that loss and expects to get back to winning ways. “I have never overestimated myself. I'm just a fighter, who can win and sometimes lose. So I don't need to change anything in my mind. We've kept working hard all this time, both on wrestling and hand-to-hand fighting although with a little focus on ground fighting,” he explained.